Philip had an interest in the financial markets from an early age. He started by studying fundamental analysis, later turning to technical analysis and in 1989 came across Volume Spread Analysis. Taught by the late Tom Williams he has become a leading expert in understanding VSA which incorporates volume, price spread and the close. 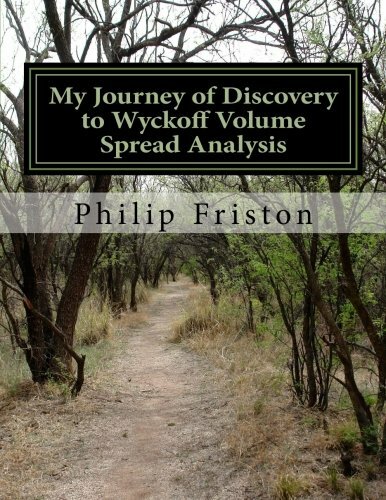 His aim, by writing this book, is to share that knowledge with others and explain his journey from fundamental analysis through to volume spread analysis. In the book, chapters covered are fundamental analysis and a brief overview of technical analysis before moving to the main topic of VSA. The later chapters cover the VSA principles in detail, Support and Resistance, Wyckoff Point and Figure, Other VSA related topics, Major Market Events, Strong and Weak Bars and a final chapter pulling everything together with trade setups. Total pages 292. Fully illustrated in colour throughout. Although weekly and daily charts have been shown as examples in the book, the VSA methodology works on all time frames from monthly down to one minute charts where there is sufficient activity taking place.